201A - Theory of the Firm and Consumer. Two input/two output model Walrasian equilibrium and Pareto efficiency. Choice over time - consumer savings and firm investment decisions. Choice under uncertainty - state claims model, asset pricing. 201B - Basic Concepts and Techniques of Noncooperative Game Theory and Information Economics. Nash equilibrium and subgame perfection. Games with incomplete information. Models of strategic market behavior. Screening and signaling. Bargaining models. Theory of the firm. Designed for Ph.D. students. Introduction to general regression analysis. Linear model, maximum likelihood and asymptotic tests, endogeneity, instrumental variables, differences-in-differences, regression-discontinuity design, propensity score matching, limited dependent variable models, introduction to panel data. Intended to develop ability to critically evaluate research in fields relevant to study of accounting. Papers presented in colloquium format by leading scholars in accounting. Active participation and intellectual interchange encouraged through discussion of papers during colloquium. Examination in depth of problems or issues of current concern in accounting, such as application of information economics and principal-agent model to accounting. Introduction to empirical accounting literature, focusing on role that accounting information plays in formation of capital market prices. Requisites: courses 230, 239A. Foundations of theory of firm capitalization and investment decisions, with special attention to questions of exchange and allocative efficiency. Focus on measuring and understanding risk premiums in financial markets. Study of evidence pertaining to pricing kernel and applied theoretical developments that are motivated by evidence. Preparation: introductory probability. Requisite: course 201C. Theory of individual decision making under uncertainty, applied to topics such as asset pricing models, adverse selection, moral hazard, bargaining, signaling, auctions, and search. Linear regression model, specification error, functional form, autocorrelation, nonlinear estimation, distributed lags, nonnormality, univariate time series, qualitative dependent variables, aggregation, structural change, and errors-in-variables. Multivariate regression, errors-in-variables, simultaneous equations, identification, proxy variables, latent variables, factor analysis of panel data, asymptotic distribution theory. 131A - Requisites: courses 32B, 33B. Rigorous introduction to foundations of real analysis; real numbers, point set topology in Euclidean space, functions, continuity. 131B - Requisites: courses 33B, 115A, 131A. Derivatives, Riemann integral, sequences and series of functions, power series, Fourier series. Requisites: courses 121, 131A-131B. Basic measure theory. Measure theory on locally compact spaces. Fubini theorem. Elementary aspects of Banach and Hilbert spaces and linear operators. Function spaces. Radon/Nikodym theorem. Fourier transform and Plancherel on Rn and Tn. Requisite: Mathematics M170A or Electrical Engineering 131A. Fundamentals of stochastic processes, including Poisson processes, renewal theory, and Markov chains. Sequential stochastic (usually Markovian) decision processes in discrete and continuous time. Emphasis on problem formulation and characterization and computations of optimal policies, often via dynamic programming, applications to inventory, queueing, maintenance, reliability, and replacement problems. Seminar series provide a collegial forum for accessing the intellectual capital you need to succeed. These seminars further prepare our Ph.D. students for research, presentation and job market success. Our faculty seminars are hosted by your area of study and closed to the public; distinguished faculty from other universities present their latest papers and findings. 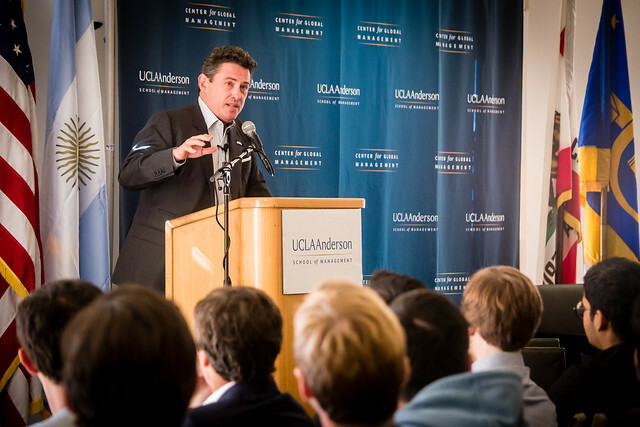 At our UCLA Accounting Conference held April 21 and 22, 2017, Professor Paul Fischer of The Wharton School at the University of Pennsylvania presented his paper, “Accounting Tinder: Acquisition of Information with Uncertain Precision,” co-authored with Mirko S. Heinle. Fischer and Heinle’s paper, and Fischer’s presentation, surrounded the development of a model of information acquisition in capital markets, which was then analyzed to explore how investors are uncertain about the precision of the private information before they acquire it. Fischer theorized that investors use prior prices and public information to estimate the precision and, therefore, value of the private information, finding that larger price to earnings deviations lead to more private information acquisition, higher future price volatility, and higher future trading volumes. The conference also hosted Professor Phillip C. Stocken of the Tuck School of Business at Dartmouth College, who presented his paper, “Persuasion under Second-Order Uncertainty.” Co-authored with Patrick Hummel of Google and John Morgan from the University of California, Berkeley, Stocken’s presentation explored a general model of persuasion games, applying their findings to a corporate voluntary disclosure setting, offering novel empirical predictions. Accounting also hosted Rodrigo Verdi of the Sloan School of Management at MIT, whose paper “Financial Reporting Regulation and Financing Decisions” – co-authored with Patricia Naranjo of the Jesse H. Jones Graduate School of Business at Rice University and UCLA Anderson’s Daniel Saavedra – studied the influence of a major reform in financial reporting regulation on financing decisions.